Sonic halloween. Tails is a mummy and Sonic is Dracula. 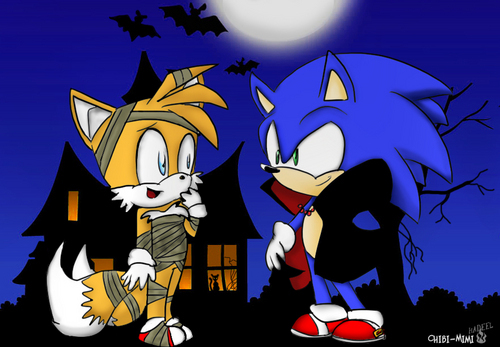 :D. HD Wallpaper and background images in the Sonic's World club tagged: sonic tails halloween. This Sonic's World fan art might contain anime, komik, manga, and kartun.